Providing you the best range of cctv camera with effective & timely delivery. 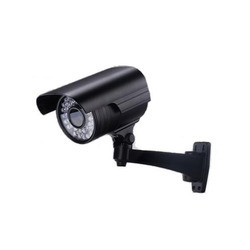 With enriched industrial experience and knowledge, we are providing a wide range of CCTV Camera, which are used in varied terminals such as kiosk terminals, payment systems, POS terminals, security terminals as well as many other ID terminals. These products are also used for the Official Security, Industrial Security nad has variouse application in Schools, Malls, Mulluplexes, Streets, Offices, Parks, Exhibition etc. Owing to its high resolution lens and automatic recording, the provided camera is well-acknowledged by our clients.